Wayne Kivell, a graduate of Luther College, has received an MS degree in music education from the University of Wisconsin-Madison, and an MFA in musicology from the University of Minnesota, specializing in Renaissance and Early Music. He has done additional study at numerous workshops under Robert Shaw, Roger Wagner, William Vennard, Douglas McEwen, Norman Luboff, Paul Salamunovich and B. R. Henson. In 1994, Mr. Kivell completed 33 years of music education, the last 25 years at Northfield High School. From 1975 to 1983 he was assistant conductor of the Dale Warland Singers. Choirs under his direction have twice performed as guest choirs at the Luther College Dorian Music Festival, four times at Minnesota Music Educators, and six times at a state or divisional convention of the American Choral Directors Association (ACDA). Wayne is a life member of the American Choral Directors Association, and is also a member of the NEA, MMEA, and MENC. He has long been active in ACDA, having served as district chair, membership chair, newsletter editor, state president, North Central division president, division convention chair, national chair of the high school repertoire and standards committee, and national convention coordinator. In 2009 he retired after 12 years as the first Executive Director for ACDA of Minnesota. 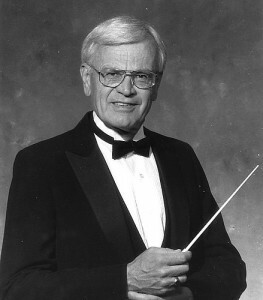 In 2000, Mr. Kivell was awarded the F. Melius Christiansen Award for lifetime conducting experience and distinguished service to choral music in Minnesota by the American Choral Directors Association of Minnesota. Peter Schleif is currently in his 24th year of teaching vocal music. He has directed school, church, and community choirs in Colorado, North Dakota and Minnesota. Choirs under his direction have performed throughout the United States, as well as in Austria, Germany, Poland, The Czech Republic, Finland, and Sweden. Schleif received a Bachelor of Arts degree from Concordia College in Moorhead, Minnesota, where he studied with René Clausen and has done graduate work at the University of Minnesota and St. Mary’s University. He is a member of the American Choral Director’s Association, the International Federation of Choral Musicians, and the Minnesota Music Education Association. He lives in Northfield, Minnesota with his wife Lori, and two sons, Isaac and Ian.